Chinese Turquoise oval beads is quite lovely. 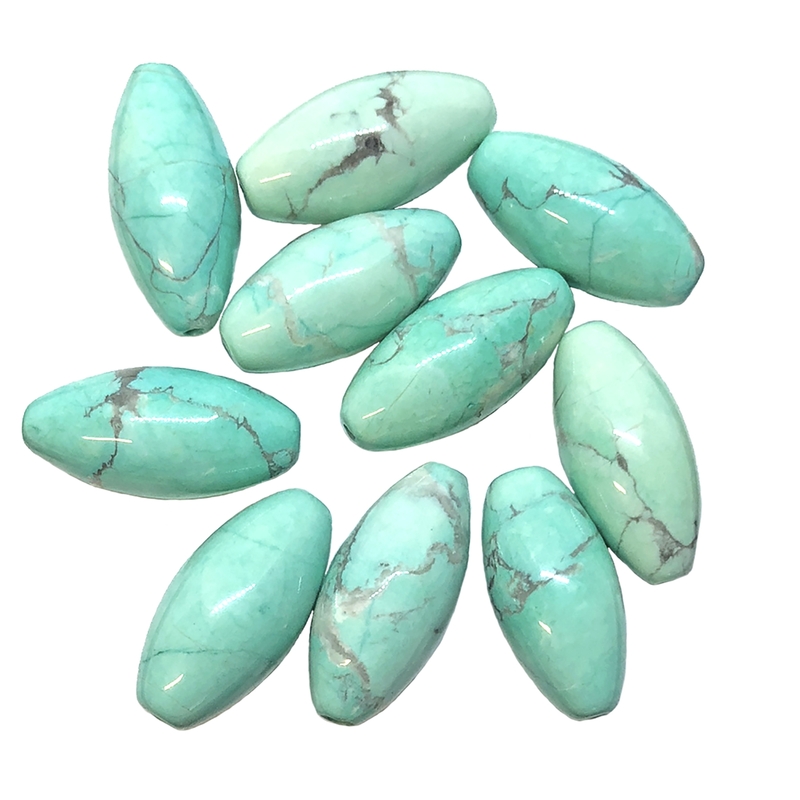 Not a true turquoise, this is dyed howlite stone. Measuring 15 x 8mm, oval shape, semi precious beads. The color is very true with good matrixing. Sold by ten (10) piece packages.